Hey I'm sky and I am fairly new around here but I decided to chip in and make a Main Menu. During the making we were having lots of problems with the UI so with the attached screenshot they do appear out of place. 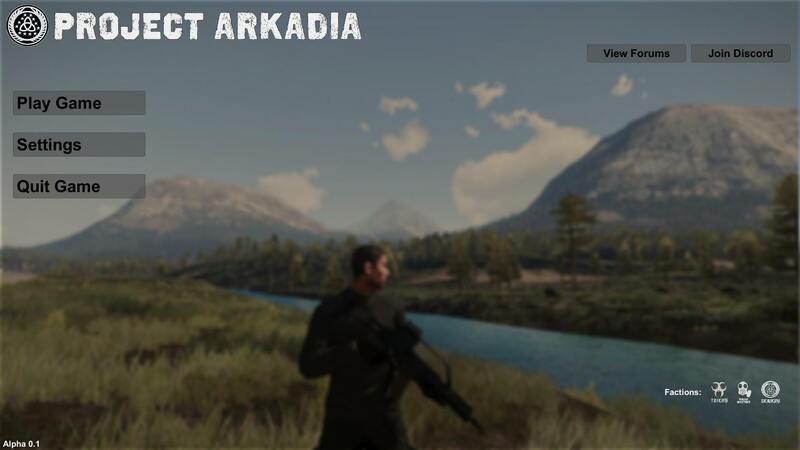 It is only a test and the background image is back from when Arma 3 was going to be used. The Design scheme is not final and any suggestions would be greatly appreciated. I wont go through all the settings behind the buttons and stuff unless you want me to but it does to some nifty things. Check attached screenshot and remember to post and feedback. REMEMBER THE UI WAS GLITCHED IN UNITY. THATS WHY THE PLACEMENTS ARE OFF!!! Looks pretty good! Maybe one could put a changelog under the forum/ discord buttons? Or some other sort of developer message? (01-16-2018, 11:33 AM)Boy132 Wrote: Looks pretty good! Maybe one could put a changelog under the forum/ discord buttons? Or some other sort of developer message? Yea. I added Discord and forum as they came to my head first. The big empty space in the middle could be a message also. Another take on a UI theme for the Main Menu. (01-16-2018, 12:34 PM)Stephano Wrote: Another take on a UI theme for the Main Menu. A lot better of a concept. The buttons could have a different sprite and maybe a colour. 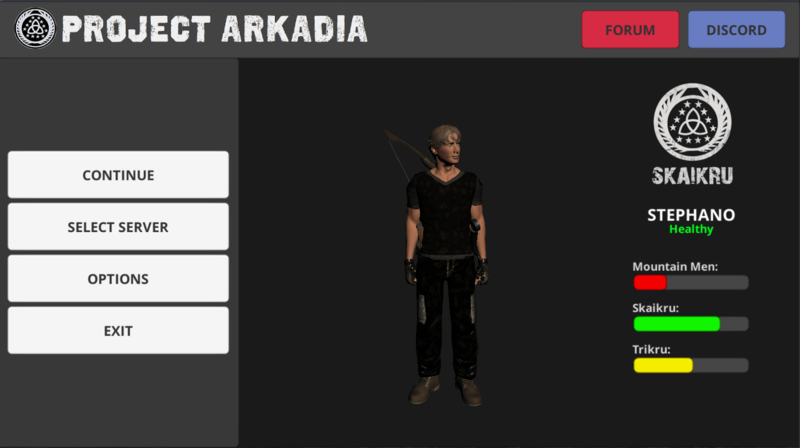 The character preview looks good also. Yes, the buttons are a bit to bright and I really want them to just be square. The idea behind the design is to give us an easy way to have the same theme throughout all the different menus. Login screens, options, server selection and so on still needs to be done. I guess the bars on the right represent the reputation? What about making some kind of two-sided bar, with the middle as 0 (neutral), the left side as negative and the right as positive. Do you know what I mean? (01-17-2018, 10:24 AM)Boy132 Wrote: I guess the bars on the right represent the reputation? What about making some kind of two-sided bar, with the middle as 0 (neutral), the left side as negative and the right as positive. Do you know what I mean? Not sure I get what you mean. Current time: 04-25-2019, 03:42 PM Powered By MyBB, © 2002-2019 MyBB Group.